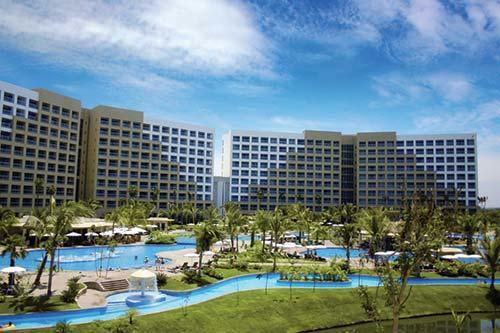 Enjoy 7 Nights at The Grand Mayan Nuevo Vallarta in Nuevo Vallarta Mexico! Experience the warmth of the Mexican sun on your face and unwind in the Pacific breeze at The Grand Mayan Nuevo Vallarta luxury resort as you enter a world of indulgence and excitement. Here you will find all of the luxury and excellent customer service of The Grand Mayan steeped in the carefree attitude and natural beauty of Nuevo Vallarta. 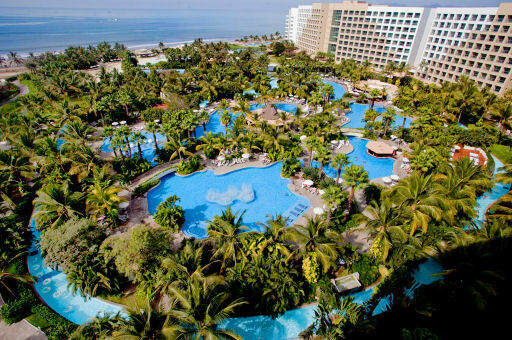 At The Grand Mayan Nuevo Vallarta luxury resort, there's something for everyone. 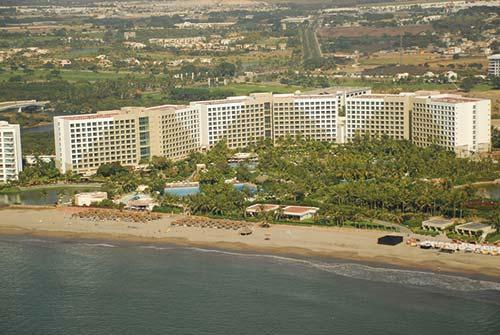 Enjoy 18 holes of golf surrounded by spectacular Pacific Ocean views and lush, tropical foliage or hit the beach for body surfing on the waves, snorkeling, or just relaxing in the sun. When you tire of the sand, sun, and adventure, head to the spa on-site at The Grand Mayan Nuevo Vallarta luxury resort to indulge in some luxurious spa treatments. After the sun sets, enjoy Nuevo Vallarta fine dining at one of our restaurants and head into town for a variety of sultry nightspots to please any taste. This is where your day begins and ends–your private room or suite, a quiet space for rest and relaxation, for putting your feet up and watching TV, for reading a book or reclining in the jacuzzi tub as the warm water bubbles and swirls around you, or for enjoying breathtaking views of the jungle or ocean from your private balcony. The Grand Master Room is a 603 square foot room offering everything you need for a perfect vacation: a king size bed, sleeper sofa, marble shower, whirlpool bathtub, double sink vanity, 42” LCD television and balcony with a breathtaking views of Nuevo Vallarta. Accommodates 2 adults and 2 children. The Following Check-in Dates are Available for a 7 Night Stay in a Grand Master Room!